As gamers, we beat games all the time, but rarely (if ever) do games beat us. 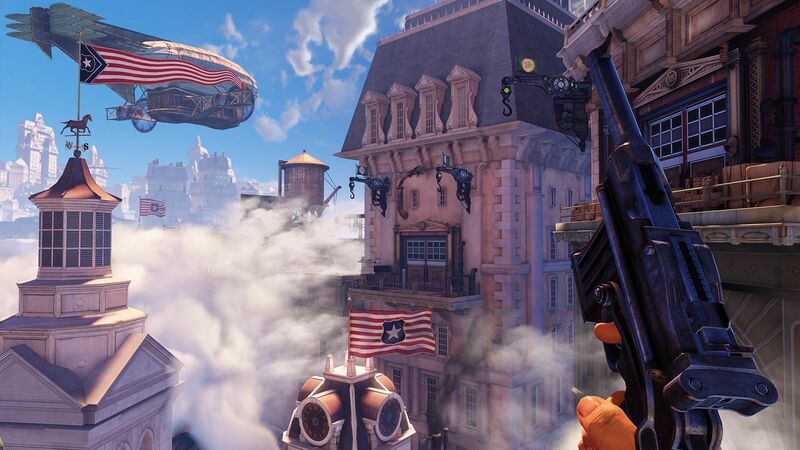 I just recently encountered the first game that has ever beat me emotionally, spiritually, and physically – Bioshock Infinite. 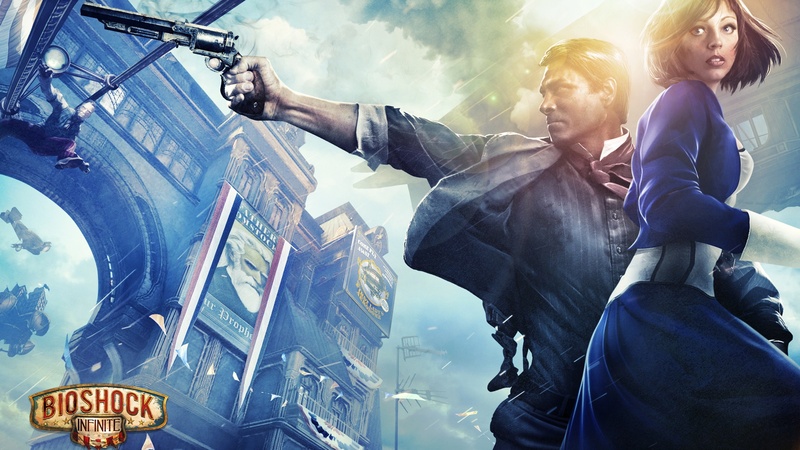 I picked up Bioshock Infinite the day it came out, I’m a really big fan of Bioshock and Bioshock 2 so as you can imagine I was super excited for this game to be released. With many game critics giving the game so much praise and acclaim through high (and even perfect) scores I was thinking “what could go wrong?” Well, that question was answered soon and the answer was not quite to my liking. Don’t get me wrong – I love this game, I’m so glad that I played it and I look forward to playing it again in the future but there are some key issues that affected my experience. My issues began when I decided to play the game for the first time on hard difficulty. I don’t usually have a problem with playing games on hard, in fact as of late I have been playing almost every game that way. As I have developed as a gamer, I have come to like the challenge and the rewards it presents. I played through both previous Bioshock games on Hard and had little to no difficulties so when it came to Infinite I thought “why not?” I found out “why not” soon enough. This game is actually one of the most difficult games I have ever played on the standard “hard” difficulty. The biggest issue I had was that the difficulty spiked a great deal towards the end of the game. Most of the game was tough, but nothing I couldn’t handle. Then I got to the first fight against Lady Comstock, or The Siren, and it was like playing an entirely different game. There are plenty of tricks and combos that should be or are best used to fight her, but this was a day or two after the game’s release so I knew none of them. I’m also not one to look things up right away, I like to test everything out for myself. That encounter made me realize that certain elements of the game’s combat system were flawed. I learned through discussions with other friends and gamers that if you do not focus primarily on Vigors throughout the game that you are going to have a hard time. That in itself is not necessarily bad, but it’s not like anyone tells you that you should do this and there is no way to go back or “re-spec” and chnage what you have done. I was focusing on gun use since there are achievements tied to each gun and I wanted to get them. I wasn’t really thinking about the fact that I could come back later for those achievements and that I should be focusing on other things, and while that is mostly my fault, I also pass some of the blame to the game for not making it more clear that Vigors mean way more than the guns. I always assumed they were a pair, use Shock Jockey and then shoot the guy, but I guess that wasn’t the best practice. Another issue I had was that the game, which seemingly focuses primarily on story throughout most the game, gets outrageously difficult towards the end. It watered down the story with anger and resentment due to the tough boss fights and impossible scenarios. What irritated me most was that the story was great and I was really tied to the characters and plot, but felt like it was more trouble than it was worth at times because of the difficulty. The difficulty halted progression and soured some of the story, it made me wonder why I was putting myself through this kind of torment for a game. I just can’t wrap my head around that aspect. Why not make it super hard throughout the game? Why change it up when the story is at a crucial turning point? I may never know why, but I do know that it drove me mad. Bioshock Infinite beat me by making the last portion of the game agonizingly difficult while making me really want to progress for the story, even though the gameplay didn’t want me to. It got to where I could only play it for a little while at a time. I couldn’t get over having to face Lady Comstock’s ghost three whole times. I felt so very accomplished after beating her once (it took me about 3 hours to finally beat her. Sad, I know) that when she popped up again I nearly broke into tears and she isn’t even the last boss fight. I felt defeated and towards the end of this game I even questioned myself as a gamer (which is pretty harsh). I thought that I wouldn’t have much of a problem and it turned out I had more of a problem that I ever dreamed of having. You might be thinking “why didn’t you just change the difficulty?” and to answer that question, I did – well, I thought I did. You see, it got to the point where I said no achievement is worth this so I switched the game to normal difficulty. I then restarted the checkpoint for some reason which undid the difficulty switch. I beat the game on hard thinking it was on normal the entire time. I mean, it’s nice to know I will never have to beat it on Hard again (except for 1999 mode, which I might never get around to doing) but I wish that I had done it on normal so that I could enjoy the game more. That’s my story about a game that beat me, and while it’s a little embarrassing to tell it, I felt you all should know it. Maybe in the future you can avoid being stuck in this type of scenario. I definitely learned my lesson about difficulty and how achievements don’t really matter as much as enjoying the game does. Has this ever happened to you? Be sure to share your stories below in the comment box! A lot of people really had a hard time with her. Myself included. I had it extremely hard in 1999 mode because I could not visit Dollar Bill Machines. You have to scrounge. You sometimes even have to run out and grab a new gun then hide again. I think this game is actually an improvement on what we have been experiencing lately though. It was hard, just like the difficulty intended to be. Not many games are like that anymore. Most games you can breeze through on hard anymore, just like you said, but this one was actually a bit challenging. That’s a great point to make. You’re right that games are getting less and less difficult this generation, when hard feels like easy it’s really not much of a challenge. I appreciated the difficulty of this game, but I still dislike how much it spiked towards the end. I just think that if it was going to be that way, it should have been that hard through the entire game. Yeah. You’re definitely right about that. Towards the beginning it was mostly about atmosphere and story building so there weren’t near as many fights. It definitely did spike the difficulty when Lady Comstock showed up. I can see that being a real game-breaker, especially for the casual gamer who would’ve probably given up at that point. 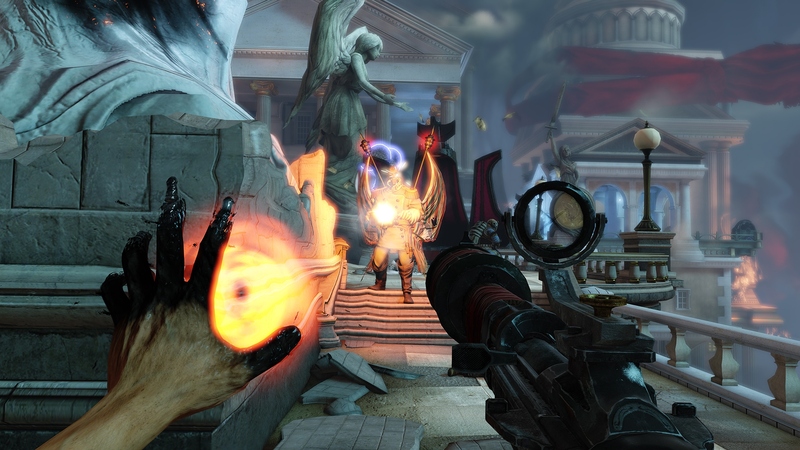 I’m just glad the story of the game was a great as it was because the game play was certainly lacking compared to Bioshock 1. Btw the ending is also a nightmare until i figured out how to beat it. got to agree. I’m on my 5th day trying to get thru Command deck. I’ve definitely been there. I’ve had a frustrating experience sour my opinion of a game. Most notably for me would be the first inFamous. I was blindsided by how difficult that game was. I ended it up shelving it and I never touched the following games in the franchise. I decided to give it a second try, knowing what I could expect and it made all the difference. That’s why I usually don’t go for the hardest difficulty first. I like to get a feel for the game before I jump into the deep end. There are some exceptions, like Dead Space. I had to put it on Impossible because everything else was too easy. In BioShock’s case I started on Normal and then skipped to 1999 Mode. P.S. I like what you’ve done with the site. I like the more traditional blog style. And thank you, I’m actually liking it a lot myself. I really tried to go for a tradition/simplistic feel. I beat this game last night, and I’m still kinda reeling from the ending, so my recollection of the rest of the game is a bit hazy. But having played the whole game on hard, I never really found it much more than challenging – I died quite a bit, but never got stuck in one place for too long; maybe in part due to my liberal application of Bucking Bronco (and my choice of gear), though I found the sniper rifle and hand cannon to be fully capable of doing the job alone. I’m not trying to mitigate your experience – there are several games that have bullshitted me into quitting – but I disagree that BI’s combat is flawed. I felt I was given plenty of opportunities to shift focus and tactics to where I was never really SOL. Then again, I was very stingy with my money. Maybe that had something to do with it. I played on normal difficulty and finally dealt with the mother, which was very tough. The ending has clearly been made too difficult even at normal setting and out of balance even taking into account the ghastly mother. The devs seem to be showing off and should have been reigned in. The difficulty curve in this game is simply not right. I totally agree with you. The difficulty spike was too sudden and too intense for a game like this. WTF i do believe this is going to be the first game to EVER beat me. There must be hundreds of thousands of people who have bought this game and simply cannot finish it. The final mission (command deck) is a mean old SOB which is completely out of sync with rest of game. Its as if the developers realised the game could be beaten (up to that point) without using a single vigor and therefore overcompensated at the end. Im surprised this hasnt been more widely reported. Extremely disappointing. After god knows how many attempts (this has been my single most frustrating mission in gaming), this is how I finally beat the game, and not only that but with around HALF(!) the core health remaining…. 3. Smother core with Return To Senders, 5 on front and 5 on back. If the core is AT ALL vulnerable to infantry or patriots then the core has not been sufficiently protected. 13. If the core has been damaged by infantry or the patriots, jump directly off the top deck to replace any lost Return To Senders and use skyhook to return to the top deck. 18. When songbird recharged, use it to destroy the patriots (again these will be directly in front of core). Notes: (1) Only used Return To Sender, Undertow, Possession and sniper rifle to complete mission. (2) Zero direct fighting with patriots – these are destroyed from top deck using songbird. I’ve also copied this to the wiki walkthrough page. Horrible game, making you have to play like a machine to win. That’s not fun, that’s work. I’ve refined the walkthrough and re-uploaded to wiki page…. 15. Use sniper rifle to destroy turrets on barges. You can use Possession and/or Return To Senders as defence against turrets. 1) As soon as you die, as the screen turns white, press pause and reload your checkpoint. This negates paying $100 for rebirth, or worse, being booted back to the main screen. To be honest I think if you go back to the main screen you can still Continue, but I didn’t believe that when I did it and have not tested. 2) Get the Winter Shield gear by reloading checkpoints, ideally when you meet the Luteces for the first time, or just after the Grand Central station where you unlock the gate and there is 2 enemies, then the bookstore on the left. Again, I did not realize this until after the battle before you get on the First Lady – it makes the game much easier, as does Sheltered Life. 3) For the two fights mentioned above, when you meet Lady Comstock in the graveyard, use a fully-upgraded repeater, the Head Master and Ammo Advantage gears and ensure you have full bullets. As soon as you come out of the crypt, headshot her repeatedly before she has a chance to move. Might take a few goes but this is easy. For the second battle in the Plaza, drop as many Devils Kiss traps as you can (burnt corpses cannot be resurrected) then hide by the vending machines. Using the sniper rifle means its a war of attrition as few of the resurrected soldiers will ever come up to you. Sniping them with a single headshot is easy. You have to spend a long time waiting for Elizabeth to toss you health, ammo and salts but just keep popping out and turning on the Mosquito Tear, then while they are distracted, headshot her with the Sniper rifle and rinse, repeat. Use the Return to Sender shield if you have enough salts. She is apparently easy to melee kill using Charge and Burning Halo will practically kill all the guys for you – I did not dare try this on 1999 mode. 4) For the final battle, the trick to know is that until you destroy a Zeppelin, the 2 patriots and 8 or so soldiers will continue to respawn. Use Undertow to pull both patriots up to the sniper platform. They will not attack you, they will focus on the core but can’t hit it. Then you can wipe out the soldiers, until Songbird recharges, then once you are back to full health and salts, kill your Patriots and the Zeppelin from the top platform, then repeat on the next wave. Sometimes your Patriots will disappear, in which case possess the final 2 soldiers one after the other, this will buy you 20 seconds per enemy for the Songbird to recharge. Fill the deck with Shock Jockey traps between waves while you hold an enemy in reserve to prevent the next wave from spawning. There is effectively infinite Salts in this battle. I didn’t use Return to Sender once. I only used Songbird on gunships/zeppelins. With Winter Shield in effect I melee killed most of the ground troops, undertowed the rocket guys off the sides. Additionally using Electric Punch, Vampires Kiss, Brittle-Skinned on Patriots makes them very easy to melee kill, I am not sure if facing the gears makes any difference. Burning Halo will hold off enemies around you, but possessing a Patriot repeatedly and letting it kill all your enemies then leaving it to last and killing it using this method (use a blast of Shock Jockey to get in position) means you don’t need any salts to kill it. I finished the game with 30 lockpicks and $2000 in reserve. I have to say I disagree with the reviews on difficulty. Lady Comstock is only difficult if you do not understand the game mechanics on Normal or Hard. On 1999 mode you have to use a few “tricks” but as these basically involve using cover and top quality Gear, I don’t feel this is cheating. The game is awesome but the final battle is hell and yes i agree the difficulty changes real fast even too fast, so far i have tried the last battle 5 times and died all 5 times i find it way too hard it is very frustrating and i have a hard time understanding why its so damn hard. I did exactly the same thing and it beat me too. It’s an amazing game though I think there needs to be an in depth tutorial. Thank you! Yeah, I feel like they should have offered up some more gameplay tips than they did. It is still a fantastic game, just an oddly difficult one.